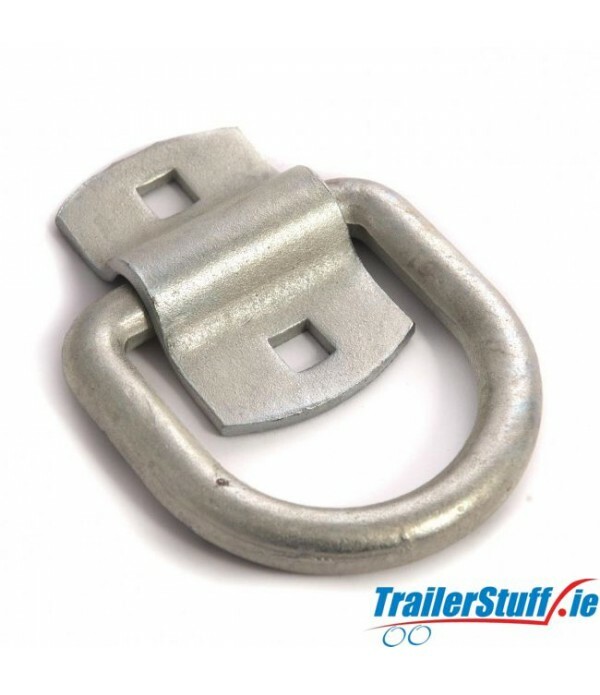 Rope Hooks and Lashing Rings - Trailer Parts and Accessories | Ireland | Trailerstuff is Irelands largest online supplier of trailer parts and accessories. Lashing rings, chromium finish. 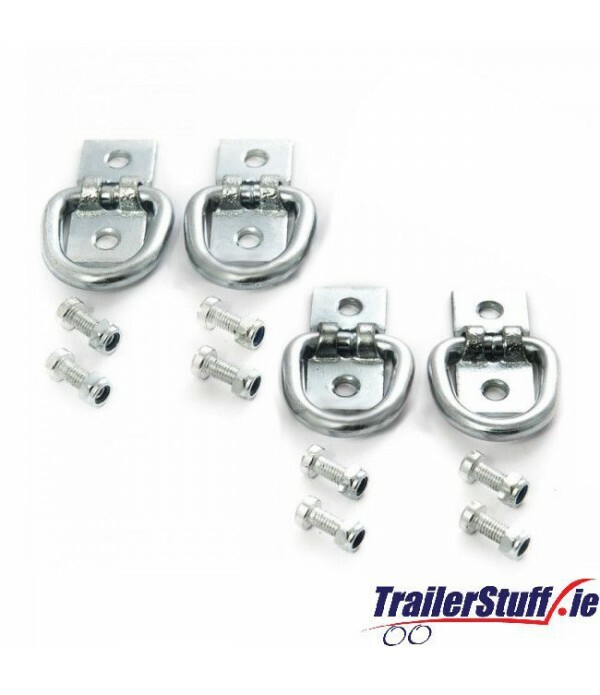 4 rings per pack, supplied with nuts & bolts..
Lashing ring + cleat 1500 kg. cap. 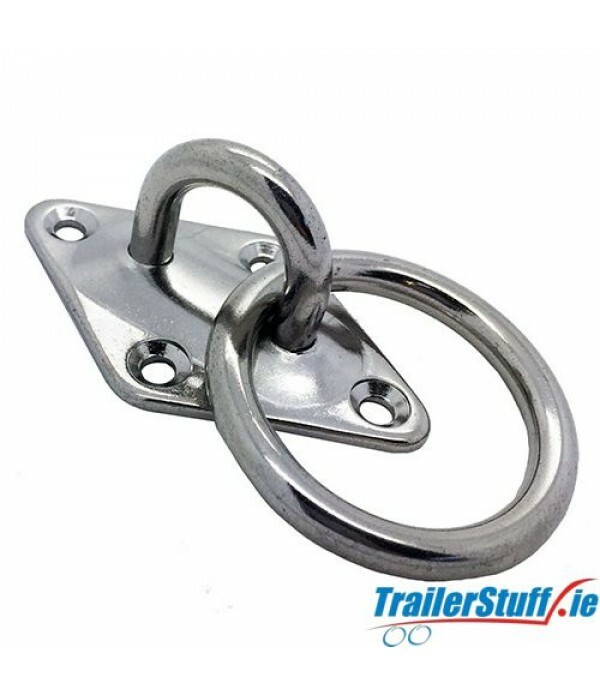 Lashing ring + cleat 1500 kg. cap. .. 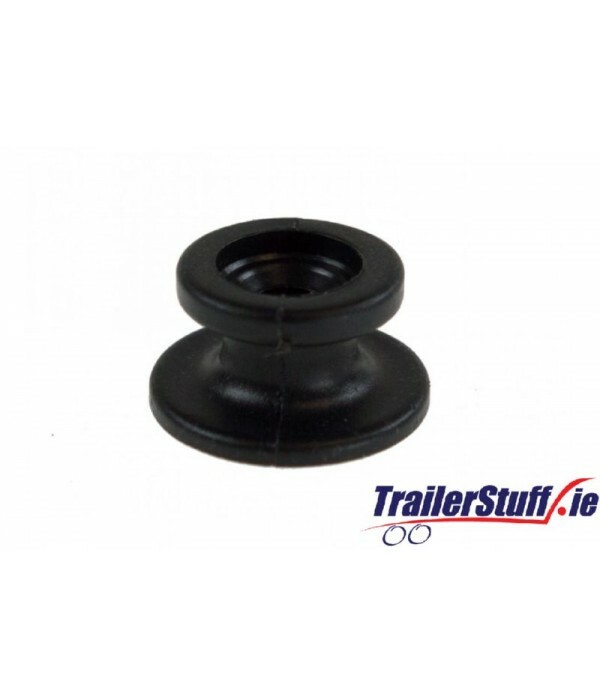 Heavy duty, recessed, lashing ring set 145x100mm. ..
Rocking staple. Ring 42x30x6mm. dia. 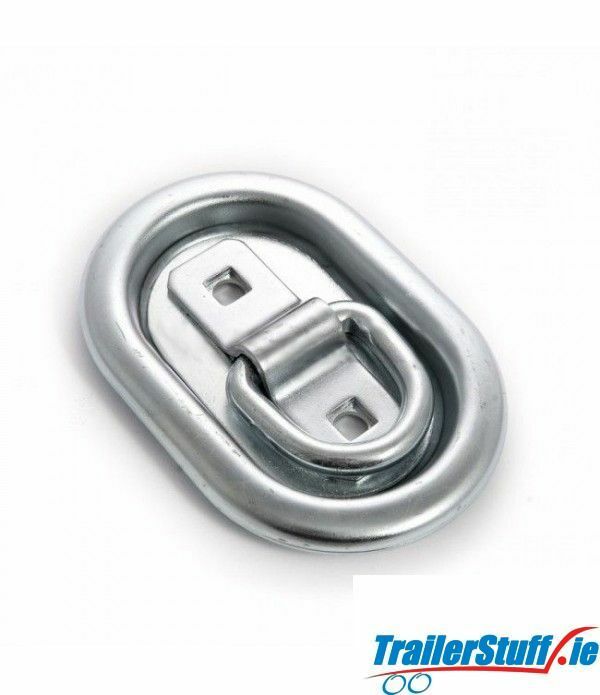 Staple 45x20mm. with 6mm. dia. holes @ 30mm centres.. 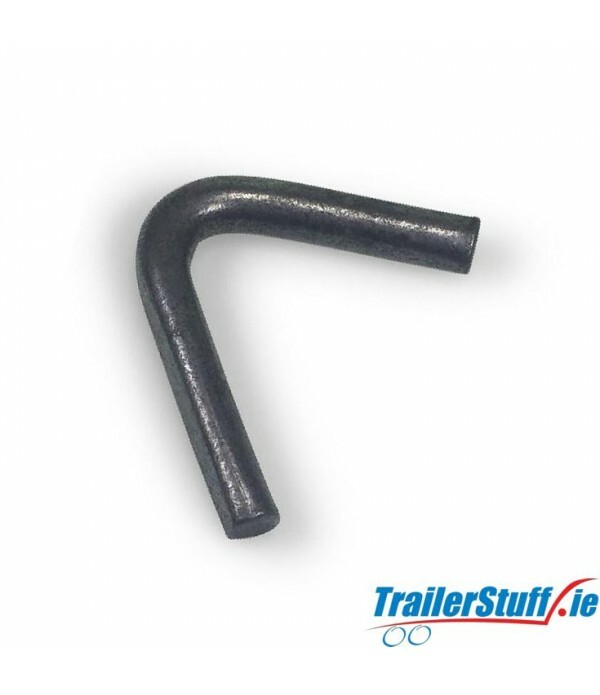 Description Black plastic trailer cover tie downs Ideal for securing elastic cord on trailer covers Drawing dimensions - A=25mm, B=14mm, Ø=6mm, D=19MM, E=2.2mm Pack of 10.. 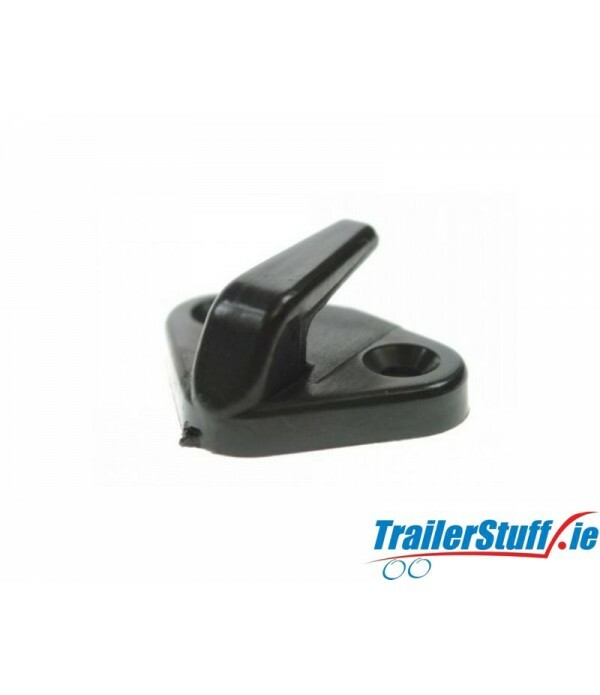 Description Trailer Cover Tie Down Hook Black plastic Pack of 10.. 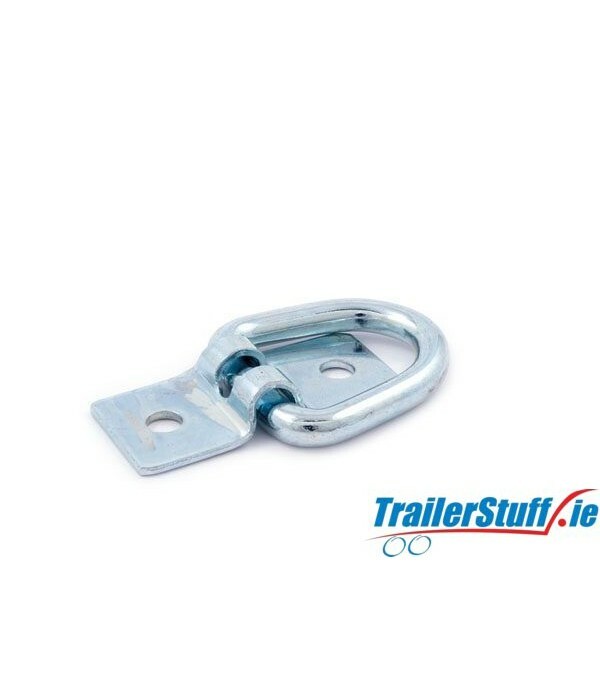 Description Cargo Lashing Anchor 145mm x 105mm with 40mm eye Spring assisted..